I’m really growing to love Google Reader! The interface is fantastic. The keyboard shortcuts make using it a joy (not to mention, really fast). Normally one of the main drawbacks of an online RSS Reader is that you can’t use it when you are offline (on a train, plane, whatever), however Google Reader overcame this shortcoming by launching Offline functionality in Google Reader. You can now read the last 2,000 posts while not connected, if you need to! The ability to Star and more importantly Share your posts is an incredible boon. I then use Mario Romero’s Reader application to embed my shared items into my Facebook profile. As I mentioned previously, the mobile version works really well (except on my Nokia E65 the numeric shortcuts don’t work) and as it is online, it is always in synch with the desktop version. What other features of Google Reader are there which I neglected to mention? 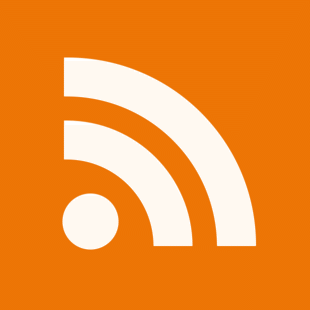 Do the Google Reader numeric shortcuts work on your Nokia N95? I was quite disapointed to find out that the latest Symbian 60 browser seems to hijack the numeric keys and doesn’t let them through to the web-app. The N95 was a review loaner Paul. I returned it shortly before going on holidays so the answer to your question is, unfortunately, I don’t know! Love Google Reader as well, you have the firefox extension that combines several Greasemonkey scripts? I must be the only one who finds Google Reader fiddly to use. What I would love is if there was a single keystroke to bring me to the next subscription and open it. That’s all. AFAICT I have to type SHIFT-n, then hit ‘o’ to open the feed. In Bloglines, I just hit ‘s’. Nobody else seems to complain about this so I presume it’s something weird and wacky I’m doing, or that I’m using Reader in a way nobody else does. I’ll continue to use Bloglines until I find a way to stop battling with Google Reader. Donncha, pressing J will take you to the next item and open it, pressing K will take you to the previous item and open it. Pressing V will open the actual link in a new tab/window. Paul – I know, same as Bloglines, but that’s within a feed only isn’t it? Unless I can change focus to the feeds section of the reader and use j/k there? I use the river-of-news format and this allows me to see all my feeds aggregated into a single pane. I then use j/k as mentioned by Paul to go through posts. I know this isn’t quite what you are trying to do but I think it is the fastest way to consume your feeds. It’s a different way of working then. For the blog surfer on WordPress.com I used that format too but I never got into the swing of it for my own feed reading. I’ll have to give it a go some evening and star some stuff too. Food for thought, thanks! Once you try it for a little while Donncha, you will come tp appreciate how efficient it is. And don’t forget to start Sharing as well as Starring posts! Ah right, sorry Donncha. I just had a look and the only half-arsed option in Google Reader is to type “gu” which displays a list of your subscriptions which you can use your arrow keys to select. It would be nice if there was a “jj” or “fj” shortcut that jumped to the next feed. Though I too used to use the river of news view in GR and not a sub by sub view.